Traveling is becoming popular nowadays especially that various airlines now offer affordable fares. From the time I started writing a travel blog, one of the things I would like to do is to get to different countries in South East Asia. I’ve already been to Malaysia and Singapore before but I would like to discover more of the nearby countries this time. I checked the map and planned the possible route for an ultimate backpacking trip, starting the route in Vietnam. The planning went on for a year which began by catching some airline seat sales. Since this was already planned ahead of time (really ahead of time), there should be nothing that could stop me from doing this trip but until I got sick a week before the trip. I was diagnosed with dengue fever and was hospitalized. But I know I would be OK. Good thing, I got discharged from the hospital two days before my flight and advised to take a rest. I wasn’t really that fine yet that time but I couldn’t let anything hinder me from doing this trip; so on the day of my flight I went to the airport, met my friends and we’re off to Ho Chi Minh. It was around 10:30 PM when our boarding was announced. I was so excited as I was in a hibernate from traveling and plane ride for about three months. As far as I could remember, the last time I’ve been out for a travel was when I went to Bicol. So imagine the excitement I had during the boarding. Travel time from Manila to Ho Chi Minh is about 2 hours and a half. There is an hour difference in regards to time between Vietnam and Philippines. At 12:20 AM (ICT), we finnaly arrived in Ho Chi Minh. The immigration process went well without any question from the officer (first time?). The currency in Vietnam is Vietnamese Dong but the country also accepts US Dollar. As far as I know, there are no money changer that I’ve known off that changes Philippine Peso to Vietnamese Dong in the Philippines so better have your money exchange to US Dollars, instead. We didn’t exchange any of our money to US Dollars in the Philippines before we left Manila. I thought it is better if we have it exchanged to Vietnamese Dong. But I guess it was a bad idea after all. We should have exchange our money to US Dollars. It is better to have your money exchange in your home country as it comes on a better exchange rates. When we were in Vietnam, I do still have few dollars in my wallet which I bought from my brother years ago; so I haven’t exchanged any of my peso yet and just decided to have it exchange in the city proper. My travel buddies partially exchanged thousand pesos to Vietnamese Dong in the airport for allowance. Be warned that some of the money changers in the airport have some hidden charges. Some say that its better to have your money exchanged in the city but me and my friends found the rates in the HCMC airport better than the city. I think the best way to have money to spend in Vietnam is to withdraw money from ATM or bring US dollars. I contacted the hotel two months ago and reserved two rooms for the four us. The room rate is US $ 18.00 for double bed a/c room and US $ 20.00 for twin room a/c room which includes breakfast and internet free of charge. Since we were traveling in a group I’ve decided it would be better to ask for a pick up from the hotel; thus to avoid the hassle of catching a cab or getting scammed by a taxi in the airport. The pick up from the airport to the hotel costs US $ 15.00. It took us about 45 minutes to reach the hotel. 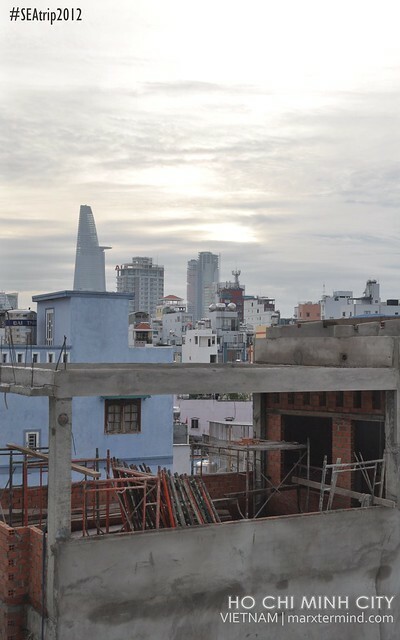 The hotel is located at Pham Ngu Lao street, District 1 Ho Chi Minh city. It is located in an alley along with various hotels as well. The street is so-called the backpackers center in Ho Chi Minh. When we arrived at the hotel we were brought into a different hotel but was advised to be transferred to Nguyen Khang Hotel the next day, which is not a problem to us at all. Hotels in this area seems all to be similar in construction as each floors only have two to three guest rooms. But as the saying goes, don’t judge the book by its cover as each room comes with almost everything we need. It’s more than the basic for a budget traveler. 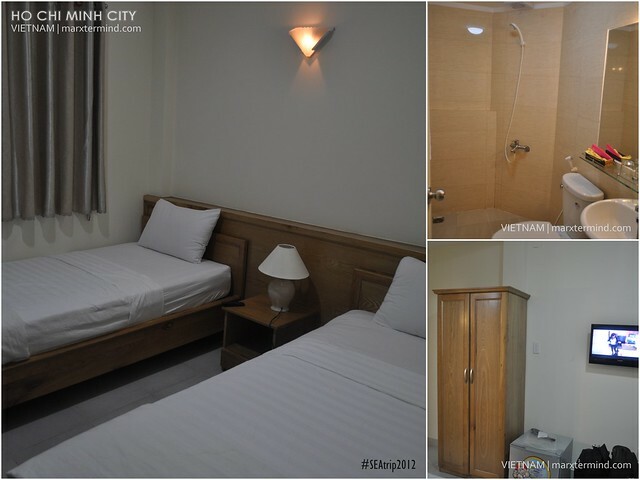 The room comes with a cabinet, TV, refrigerator and private hot and cold shower. They also provide towel, tiny soap, tooth brush and tooth paste. Did I also mention that the room comes with a free breakfast? 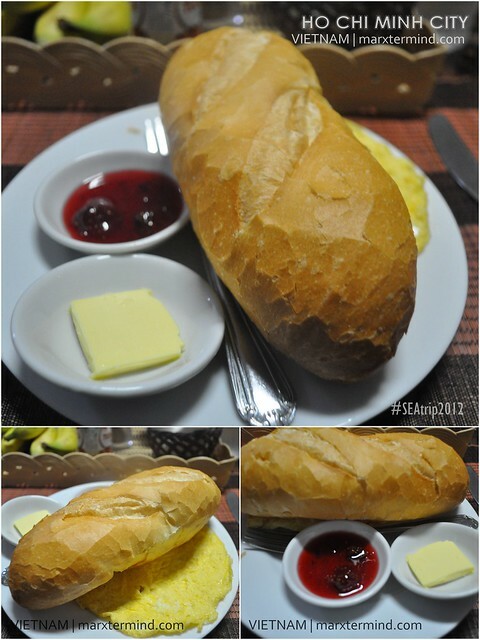 It wasn’t that sumptuous but the serving was enough to suffice our empty stomachs and early appetite. They also offer coffee for free which we really enjoyed a lot. I love how the coffee tasted, bitter sweet. It was said that the country has a local coffee which explains why they don’t entertain entering foreign coffee shops in their country. After touring around the city, we were transferred to Nguyen Khang Hotel. Look at our new room on our second night. And here’s the view outside of our room. Can you recognize that tall building? No it’s not Stark Tower, it’s Bitexco Financial Tower. Though the city seems already asleep when we arrived, the city lights and the calmness made it as a good start of our travel. The beginning of something great for our Vietnam visit. mukhang maganda ang room nyo at mura,i'll take note of that hotel pag nakapunta akong vietnam. We also stayed in that hostel last March. We were welcomed by that cute Vietnamese guy in the evening shift. And then in the morning, there was Ms. Thu who is in charge of the day shift. The place is not too noisy in the evening unlike those in the De Tham area. Do visit Cu Chi tunnel. Its about two hours away from Saigon.I hope you do a side trip to cambodia. I was able to buy a ticker for cambodia next month. If you do visit Cambodia, bigyan mo naman akom ng idea about the place and accommodation. Nasa Siem Reap ako next month. Thanks. Ill be waiting for your next posts. Pero masarap sya actually. Kailangan kainin agad unless parang bato na sya after. 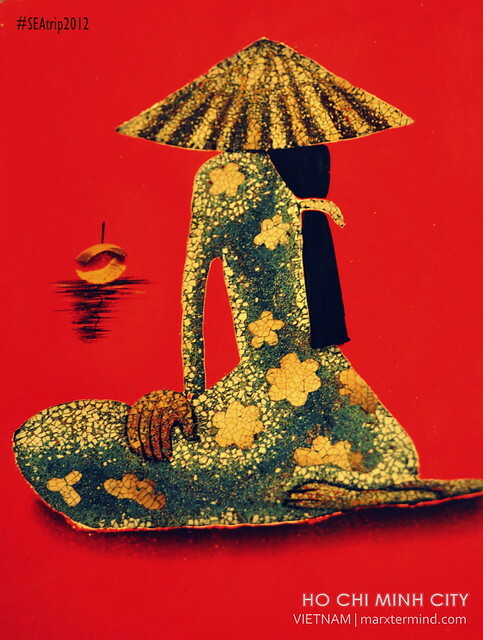 I hope to visit Vietnam one day too, but another country will be first on my list….errr….hehe! secret! 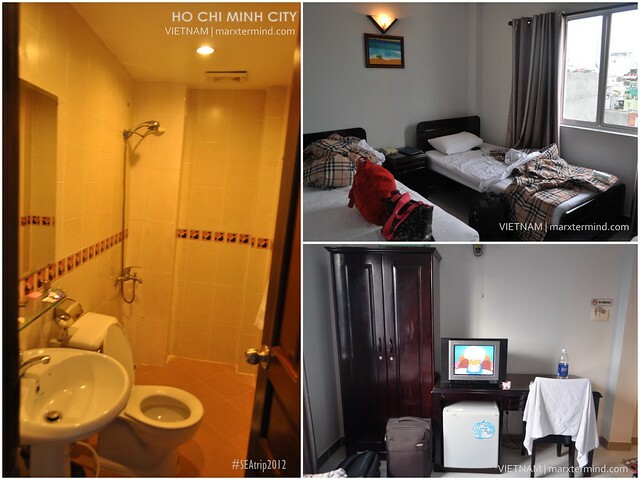 Every Vietnam entries that I've read, I always bump with Nguyen Khang Hotel accommodation. There must be something in that hotel 🙂 We'll make it 1st option when our 1st leg SEA kicks in.